Our Kids raises money for Lismore Base Hospital's Childrens Ward, Special Care Nursery, Women's Care Unit and the Accident and Emergency Department and the surrounding satellite hospitals. It focuses on kids with special medical needs from throughout the Richmond Valley and beyond, enabling them to receive specialist medical care closer to home. We also administer annual Community Grants through the Richmond Valley Children's Health Foundation. Grants are available to children's health services within hospitals and community health organisations, to health professionals, special groups for chronically ill children, together with parents and guardians of children who live within the Northern Rivers. Our Kids provides governance over the Dorothy Edwards Trust Fund which awards an annual "Midwife of the Year" Award, a "New Graduate Midwife of the Year" Award and Continual Education Scholarships for Midwives. In 2017 Our Kids also established the Our Kids Paediatric Education Fund to provide financial assistance to nursing and allied health staff who work in the Paediatric field thoughout our hospitals. This supports their continuing professional development and enhances thier clinical skills ensuring they are up-to-date in their knowledge and the latest research. Our Kids is self funded through community donations and operates under the patronage of the Northern NSW Local Health District. Our Kids has a Fundraising Coordinator, Rebekka Battista, who works with a team of dedicated volunteers who promote Our Kids and raise vital funds through local events and projects. The Our Kids Board is the group's governing body. Its members include a paediatrician, representatives from the Northern NSW Local Health District, and the community. Each month the Board meet to discuss the Our Kids Fund and new requests for financial support. 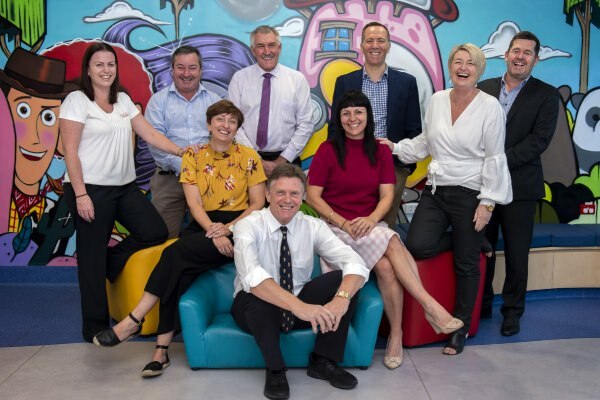 The Board members are Rebekka Battista (Fundraising Co-ordinator), Kevin Carter, Damian Chapelle, Luke Hoolihan, Chris Ingall, Tanya Jones, Tania Kirkland, Suzette Pearce (Chair) and Sean Radburn. Our Kids also have Patrons who help us spread the word and encourage the community to be involved with Our Kids. The Our Kids Patrons are Thomas George MP, Belinda Kirkwood and Annie Curtin. Our Kids is proud to have partnered with the Northern Rivers Community Cancer Foundation in making Our House a reality for our Northern Rivers community. Our House is a 20 unit accommodation facility for patients and their families who are receiving medical treatment in Lismore. Our Kids Stories from Our Kids on Vimeo. OUR KIDS - The Story So Far from GoldSky Creative on Vimeo.